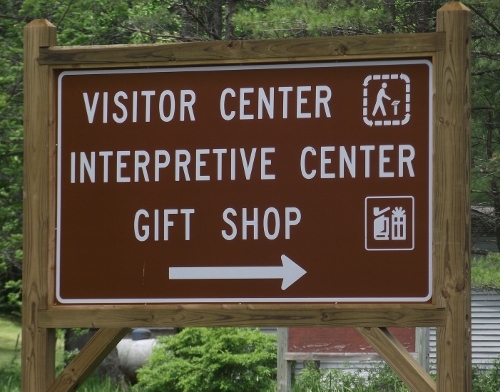 The Roan Mountain State Park Visitors Center is the place to stop to learn about the area. It is your best source of information in the park. Look for it on the right just after you come onto the grounds. 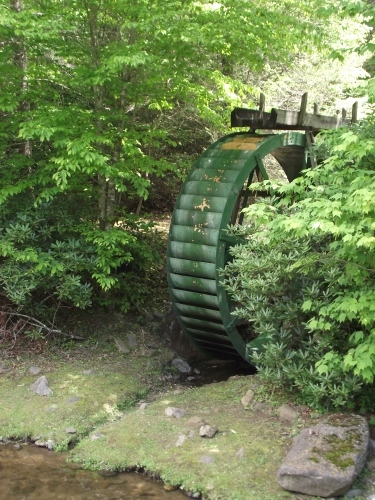 You can't miss the building and water wheel. There is plenty of parking out front. 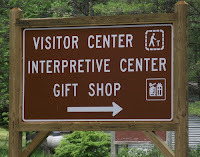 If Roan Mountain State Park is an East Tennessee treasure then the visitor center is the crown jewel. I thought that the staff we spoke with were just as friendly as they were informative. While you are there be sure to look for a small building directly behind the center. Inside the building is a small museum that contains a moonshine still and other artifacts that represent the area. On the day that we were there free newspapers were available for pick up just inside the museum door. Staff at the visitors center can fill you in on any events that will take place at the park while you are there. 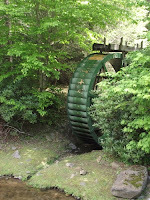 If you want information about any of the hiking trails, cabins, swimming pool or other amenities just ask. They'll be glad to help with those too. If you want a souvenir or post card to mail home this is the place to pick it up. Our visit added depth to our park experience. Stopping by the visitors center at Roan Mountain State Park help us discover Millers Farmstead and Carvers Gap. The lady operating the Roam Mt. State Park visitors center on Nov 2, 2011 was very rude when my wife and I tried to enter at 4:04pm. She stated rudely that the lights were out because they were closed. The posted hours are closing time at 4:20. Whoever you are, please know that I don't need to give you my business. Be glad that you are a state employee because you don't know the meaning of customer service. That's a shame! It won't take but a minute to change the time. I hope they see your message and change their ways.